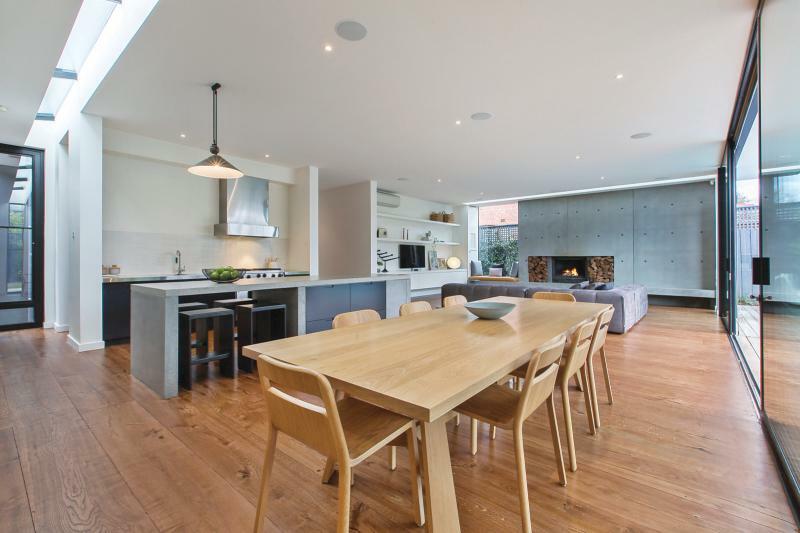 If you are considering a home renovation, this home is the perfect template on how to create a spectacular, contemporary family home while retaining the original elegance and art designer style. 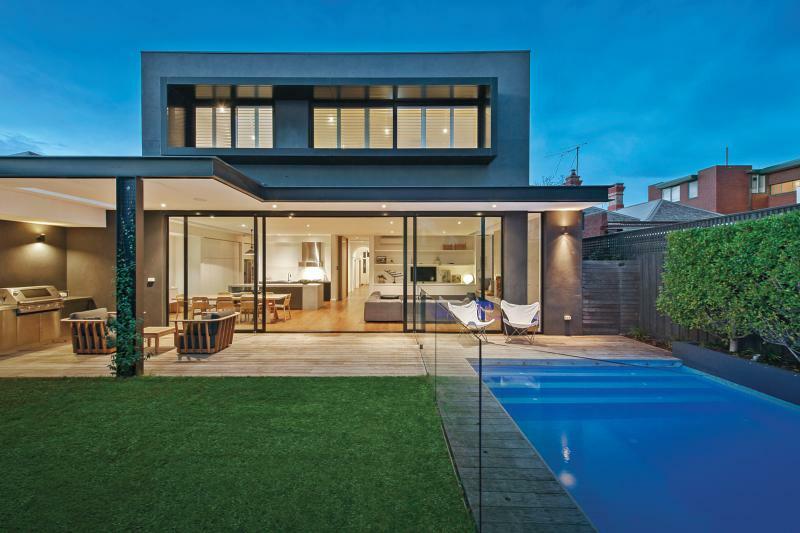 Located in Armadale, Melbourne, right from the beginning the stunning façade maintains the home’s Federation roots. 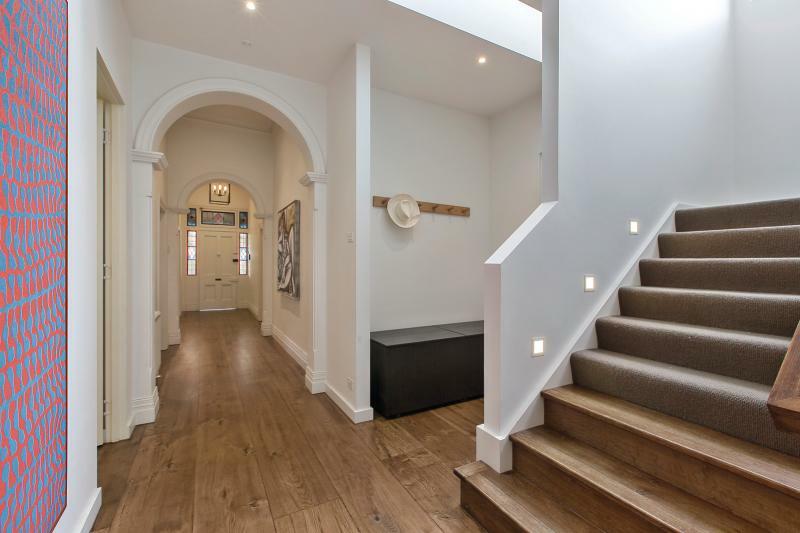 Enter the home and the rounded archways and high ceilings continue to emulate the elegant feel. The extra-wide European oak floors add a more contemporary element, without distracting from original style of the home. Enter the expansive open-plan kitchen, living and dining area and you’ll be greeted by a gourmet kitchen with butler’s pantry, huge glass slider doors to a private alfresco space complete with BBQ and solar-heated pool, and of course, an open fireplace for the living area. 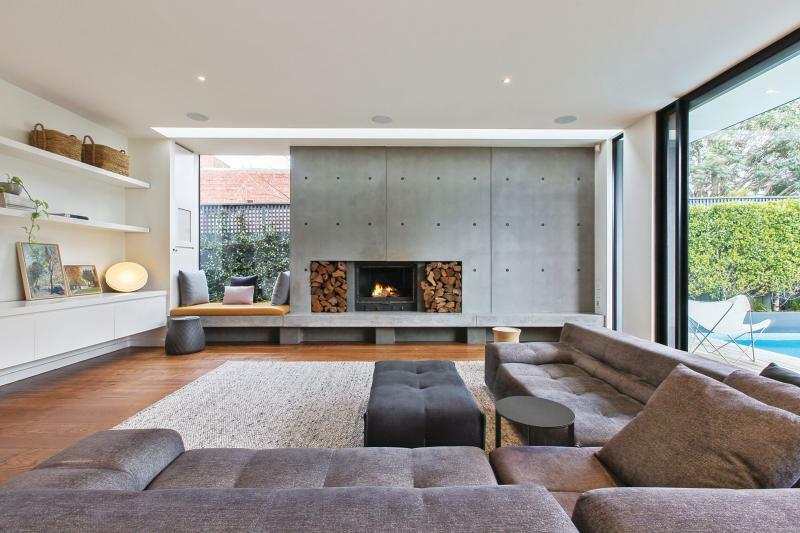 These elements, along with the concrete-look walls, blur the line between indoor and outdoor living, creating a unified space perfect for entertaining. The beautiful main bedroom features its own walk-in-robe and designer ensuite, while the second bedroom has another open fireplace, built-in-robe and attached bathroom. The remaining two bedrooms are located upstairs along with a stylish bathroom and their very own kid’s retreat. With clean, white walls featured in every bedroom, yet keeping the grandeur of the feature cornices, it offers a clean canvas on which to impress your own style whilst maintaining the classic beauty of the home. In stark contrast to the façade, the back of the home oozes modern design, however, the addition of plantation shutters on the upper floor adds a touch of the Federation-feel back into the design. Light-filled, classic and surprisingly spacious, the blend of state-of-the-art designer style with the original elements of this home is done to perfection. Take a note from this home if you are looking to create your own Federation-inspired design, with a modern twist.